Seriously right? About time! Most users of Google’s Maps API are caught between the free tier and the “I wish I had a business model to pay for the premium tier” pricing. But Google has figured this out and introduced a new way to pay for the Google Maps API. 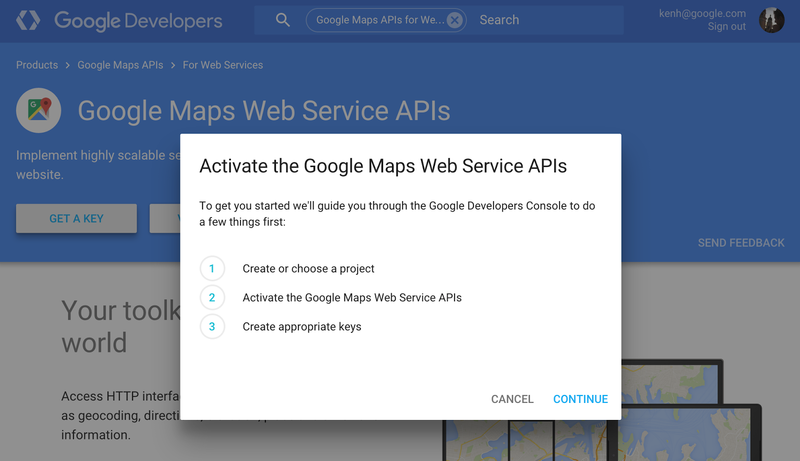 Today we’re introducing a simple and flexible option for developers to instantly and easily scale with these Web Service APIs, by opening them up to pay-as-you-go purchasing via the Google Developers Console. In this new purchasing structure, the Google Maps Geocoding, Directions, Distance Matrix, Roads, Geolocation, Elevation, and Time Zone APIs remain free of charge for the first 2,500 requests per day, and developers may now simply pay $0.50 USD per 1,000 additional requests up to 100,000 requests per API per day. Developers requiring over 100,000 requests per day should contact us to purchase a premium licence. This is huge because now you’ll know what you’re paying for the API rather than wait for that huge bill at the end of the month. Knowing what things are going to cost is key to building spatial applications. Provide your billing details and build away!